Well, I know. You may have read similar topics before in my blog. You are now seeing it again because the awesome Excel Dashboard Course by Mynda Treacy is now open. What’s more exciting? Mynda puts her popular courses “Excel Dashboard” and “Power BI” together so that you get the most out of it. 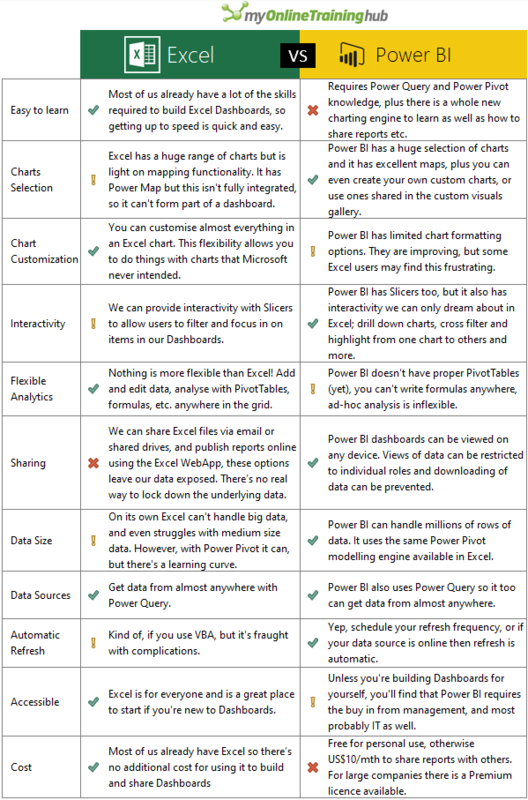 I like her table comparing pros and cons of Excel vs Power BI. What a great summary! Nevertheless, I don’t agree on the “Cross” being put next to “Easy to learn” for Power BI. It really depends. If you possesses skills and knowledge about Power Query / Power Pivot, you will find Power BI is super easy to learn. 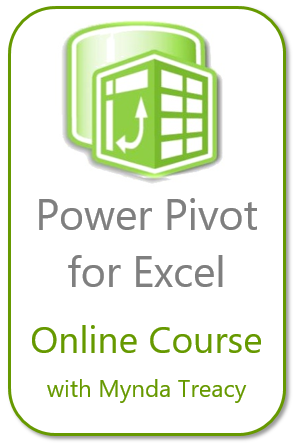 Having said that, if you are advanced Excel users but new to Power Query / Power Pivot, eager to acquire Dashboard skills, the Excel Dashboard Course would be a good start to next level. Let’s see what are offering by Mynda. There’s no denying that Dashboard skills, whether in Excel or Power BI, or both are a huge advantage to Excel users around the world and in a vast range of industries. Just look at any job website and you’ll plenty of jobs that mention ‘Dashboards’ in the description. To get you off to a running start Mynda is hosting a series of free webinars to teach and demonstrate Excel and Power BI for building dashboards. Many Excel users will already have the skills to build this dashboard, and seeing Mynda put them together will be exciting and inspiring when you realise how quickly you can get up and running with Excel dashboards. 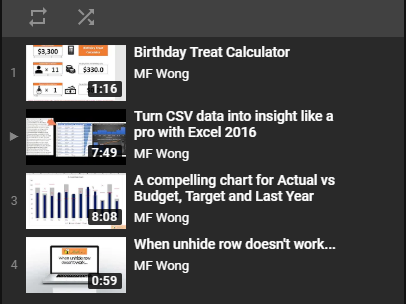 Excel is evolving; in the last few years Microsoft have added new tools like Power Query and Power Pivot, to name a couple. Embracing these new tools will not only enable you to get your work done more quickly, but you’ll also have a huge competitive edge in the workplace because less than 1% of Excel users know these tools. It’s easy to ignore these developments and continue doing things the way you always have, but that won’t get you ahead in your career …you know that, right? *Power Query is available with all versions of Excel 2010, 2013 and 2016. For Office 365 users with Excel 2013, Power Query is only available in Office 365 ProPlus. Power Pivot is available with the desktop version of Excel 2010 or Excel 2013/2016 Office Professional, Office 365 ProPlus, or in the standalone editions of Excel 2013/2016. Power Query and Power Pivot are not available for Mac. Click here to see the Power BI webinar replay. Power BI is for the Excel user who is ready for more. More features, because Power BI Dashboards can do things you simply can’t do in Excel, and more skills to add to your résumé. 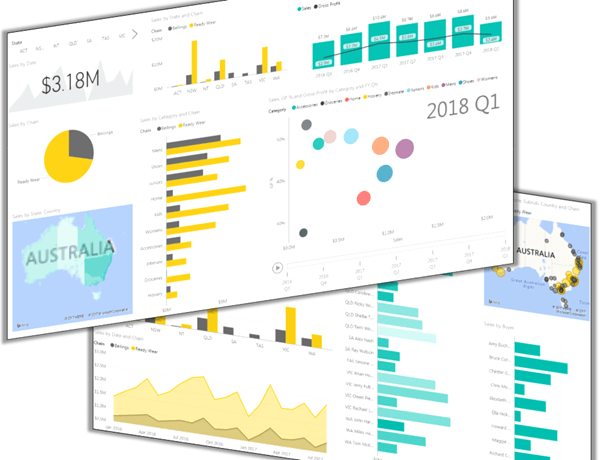 So, if you’re wanting more interactivity from your Dashboard reports and you’re prepared to learn some new skills then check out Power BI. Feel free to share this post to your friends and colleagues and invite them to attend Mynda’s free Dashboard webinars. They’ll thank you for what they can learn from the webinars. All you need is an internet connection, a web browser and speakers or headphones. You don’t need Power BI or Excel to attend the webinars. If you’re ready to take the next step and add these skills to your repertoire then don’t miss out on the discounts on Mynda’s Excel and Power BI Dashboard courses. You can even get multiple courses in discounted bundles. Both the free webinars and Mynda’s Dashboard and Power BI courses are available for a limited time, so hurry. This entry was posted in General and tagged Power BI, Power Query, Training. Bookmark the permalink.